While the name may not be immediately familiar, Direct Wines have been in operation for more than 34 years. 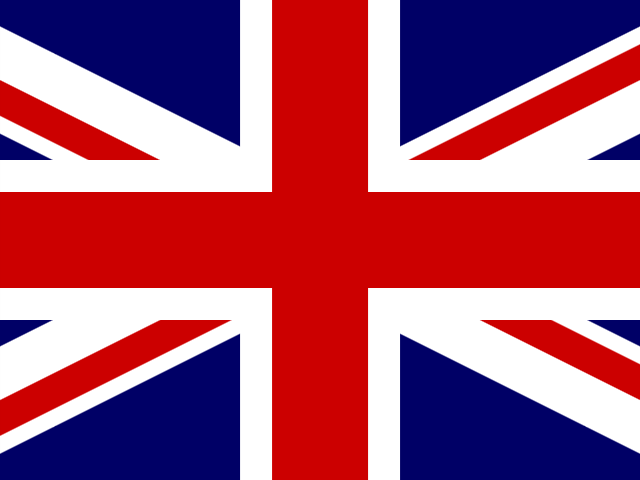 They own brands including Laithwaites, the Sunday Times Wine Club and the Barclaycard Wine Service, and are the world's largest independent wine specialist, with a turnover currently in excess of £250 million. To maintain their leadership position, Direct Wines need a world-class logistics operation, and we successfully bid to work on their new distribution hub located on an 11 acre site on the Gloucester Business Park. The 17,300 square metre warehouse was designed by Direct Wines in conjunction with the supply chain consulting company The Logistics Business. Designed to handle more than 50 million bottles per year, it enabled them to bring warehousing and picking operations back in-house to provide a more efficient process. The centre stocks more than 18,000 pallets of wine on racking, and a 2,900 square metre structural steel mezzanine floor is a critical area in the process. 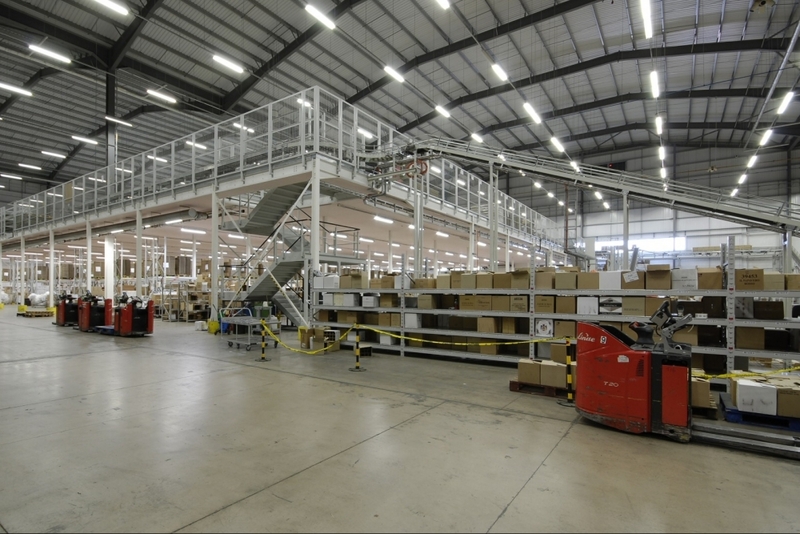 Designed and installed by us, the mezzanine accommodates the centre's picking area of medium demand stock. 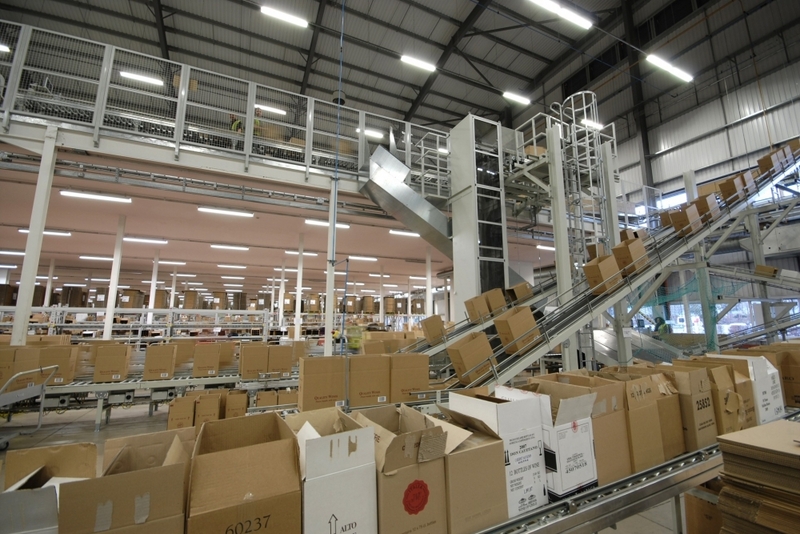 Our design also enabled optimum use of the area below a mezzanine level (Direct Wines use it for picking fast moving stock from palletised cartons on racks). The floor has a clear headroom height of 4.985 metres below the fire protected ceiling under the steel structure, and the mezzanine's supporting stanchion grid of up to 5.8m x 5.63m also maximizes accessibility. 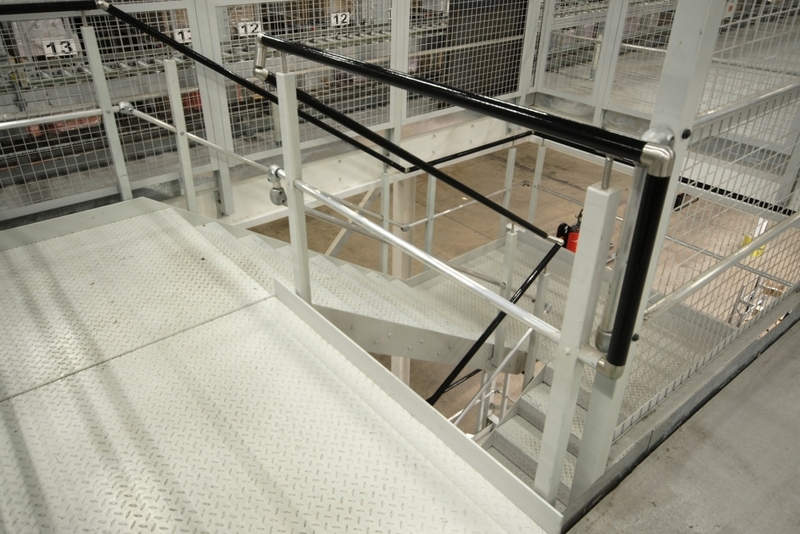 To ensure that any knocks or damage from forklift trucks don't damage the supporting stanchions, 20 of them along the two open faces of the mezzanine floor are fitted with stanchion protectors. These ballast filled and concrete-capped 610mm tall steel protectors envelope the base of the stanchions. "The concept of the mezzanine has worked well. 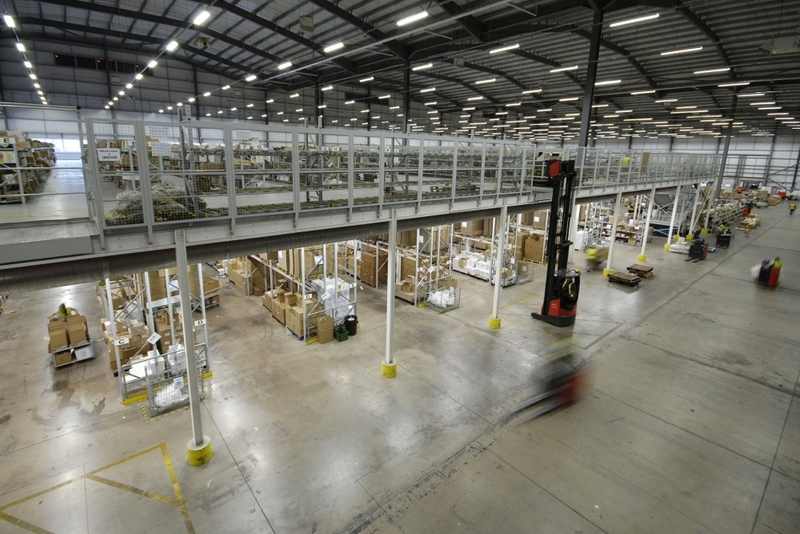 As visualised, it has enabled us to maximise the warehouse space to the best advantage of our operation. 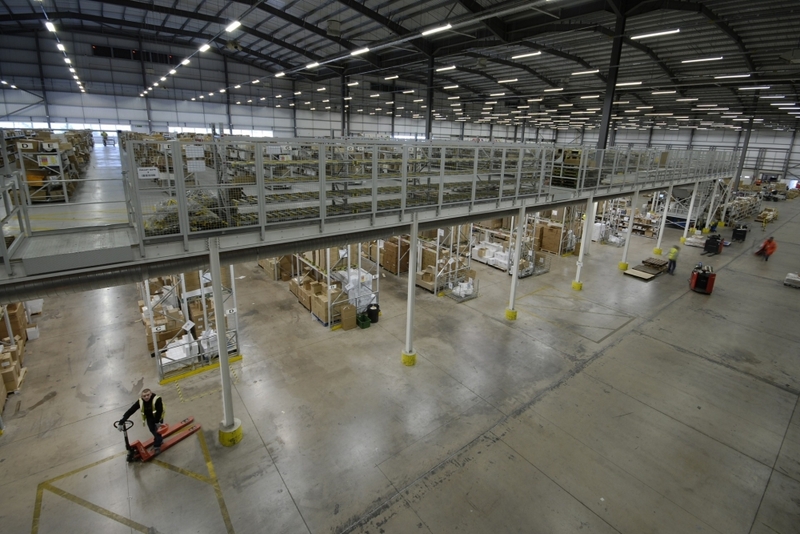 Mezzanine International's input at an early stage in the planning of the warehouse layout was a considerable factor in the successful completion of the project."